The Chapel in the Pines is the only building within Eastham’s historic district that has never been properly refurbished. Plans approved by the town of Eastham include restoring the wood shingled roof and steeple, construction of a commercial grade kitchen, a handicapped accessible bathroom, a pondside deck, installation of a state-of-the-art fire suppression system, and improvements to the wheelchair ramp and adjacent parking. 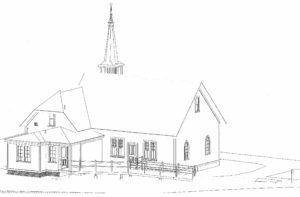 These upgrades to the existing facilities, carefully reviewed by historic preservationists, will improve the chapel’s functionality in countless ways. Will You Give to Help Meet this Goal? Simply click here.